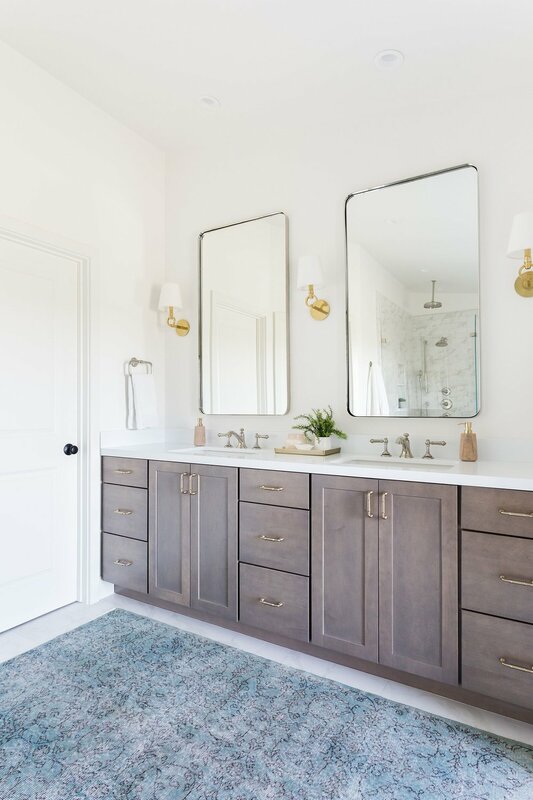 Today we are sharing the Master Bathroom from our Camarillo Ranch Remodel, and it’s one of my most favorite (and most in-depth) transformations to date. If you missed our other room reveals from this beauty, be sure to check out the living room, family room, and kids’ bathroom. The home, previously owned by our clients’ grandmother, had not been touched since the 1970s. We are talking shag carpet, popcorn ceilings, wood paneling - the whole nine yards. But what it lacked in modern comforts, it made up for in sentimental value and seriously killer views. It sits atop a huge valley, and on clear days you can see the Pacific right from the backyard. We were willing to fight for it! 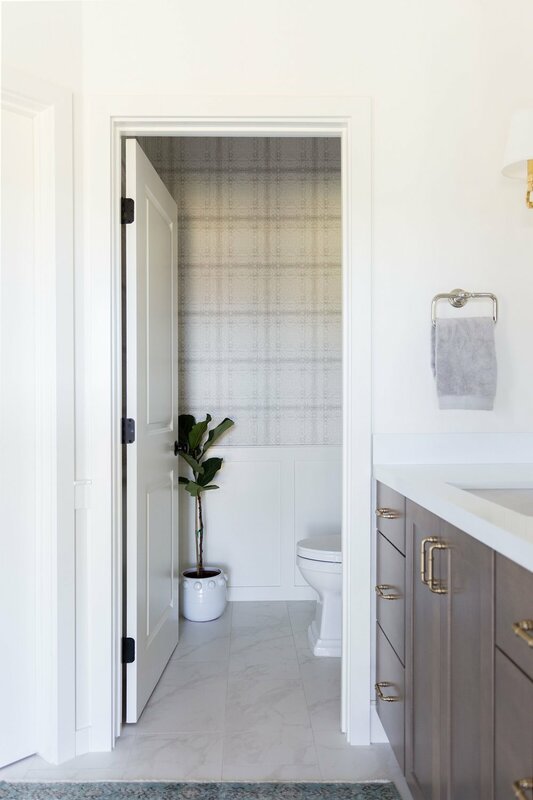 For the master bathroom, we envisioned a beautiful and serene retreat, and that meant completely reinventing the space. It was originally broken up into three very tiny, separate rooms with carpeting throughout. We overhauled the entire area and opened it up with the addition of a large window, vaulted ceilings, and a dream walk-in closet. 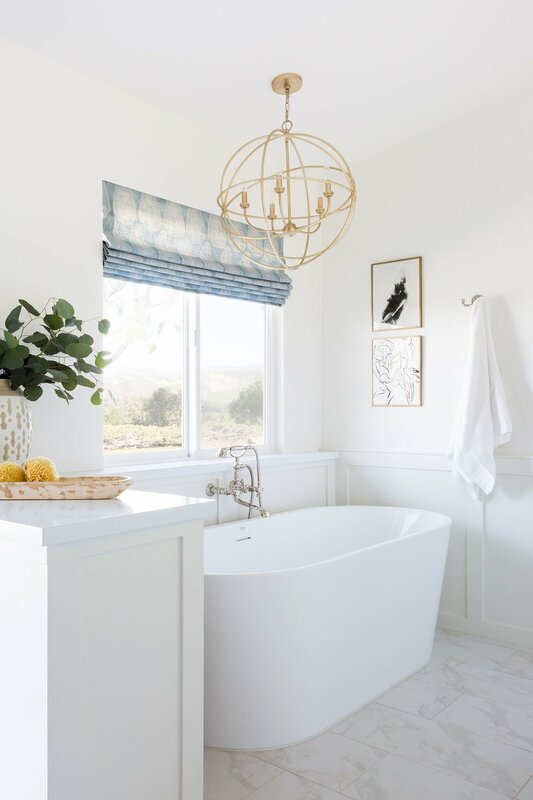 The natural light pouring in from the window paired with bright and airy finishes helped to create a spa-like feel. We added a little luxury with a soaking tub, the most elegant chandelier and a large walk-in shower finished in marble tile. Layered accents like the art above the bathtub, the wooden stool, and the vintage-inspired rug add to that luxurious feel. 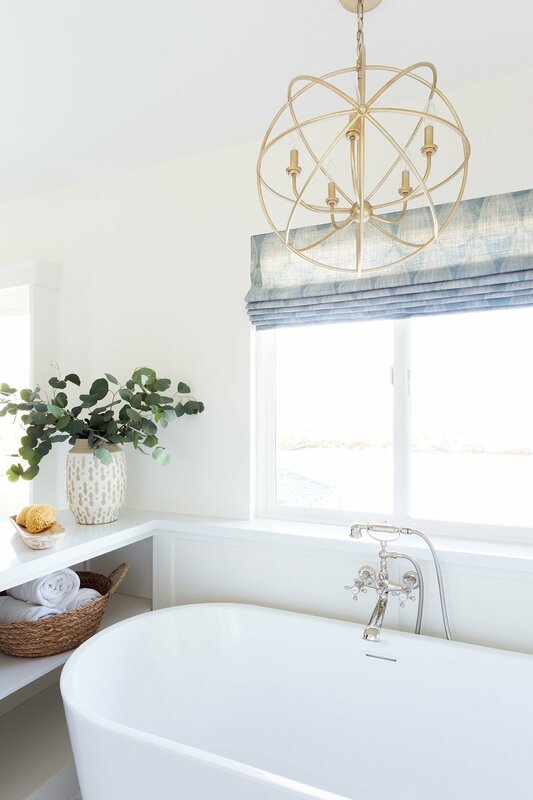 The result is a dream master bathroom that checks all the boxes and one that fully takes advantage of those fabulous ocean views. Scroll down to take the full tour!